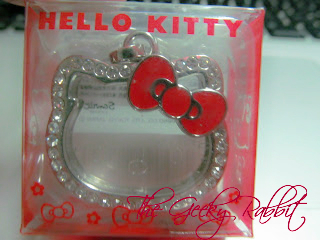 I discovered a gorgeous Hello Kitty DIY charm when I was out shopping! I was pretty intrigued by it. It's very different from the typical DIY accessories, which usually involves picking charms to be stranded or clipped onto lace/cords. 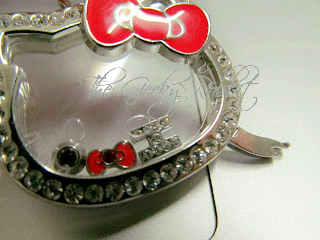 This one is a clear capsule with the charms placed into the cavity, and the charms can jiggle around! There were various characters available, and some shapes too. I remember a Minnie Mouse charm. I am a huge Hello Kitty fan so naturally I chose the Hello Kitty one. 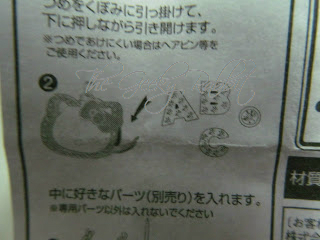 The instructions are in Japanese, but the steps are pretty intuitive. There is a catch on the right side of the charm, and it unhooks when you gently pick at the edge. 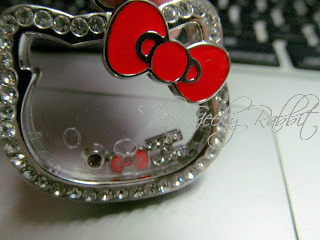 There are many charms available, mainly alphabets and also small colored crystals. 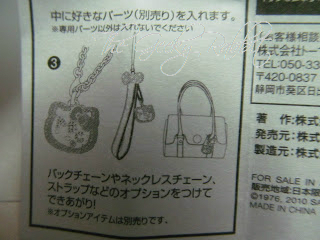 There are also some shape charms such as hearts, minnie and mickey cut-outs, and even the rilakkuma mascots. 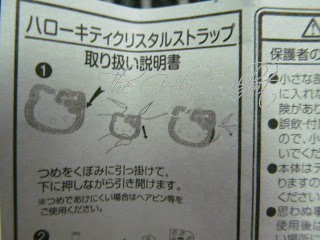 The next step is to place the charms into the capsule, then close the catch. 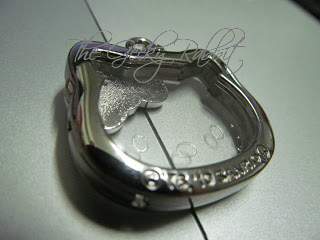 The last step is to attach the charm to either a chain or leather stap. The straps- chain, leather or even pearl- are sold separately. I'm planning to use my own ribbon strap so I didn't get any of those. 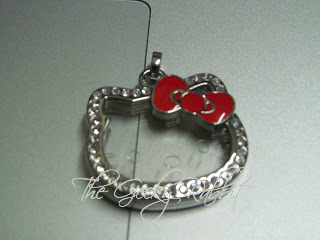 The reverse side of the charm is plain, without the red bow. It's a pretty innovative accessory idea. I recommend a max of 6 to 7 charms in the necklace, else the charms cannot move around freely. I only got three charms this time round, but I'm planning to get a few more charms to fill up the capsule. It looks a tad scanty now! The charm allows a lot of flexibility to mix and match. Shall update this space if I get more charms to fill it up!